Non-communicable, chronic diseases such as hypertension, cancer, diabetes, and heart disease are leading causes of death and disability worldwide. In India, diabetes affects 66 million Indians, or nearly 9% of adults, one of the highest rates in the world. Join CFHI’s partner, Swami Vivekananda Youth Movement (SVYM), in their efforts to address the pressing health issues faced by rural, indigenous and farming communities. 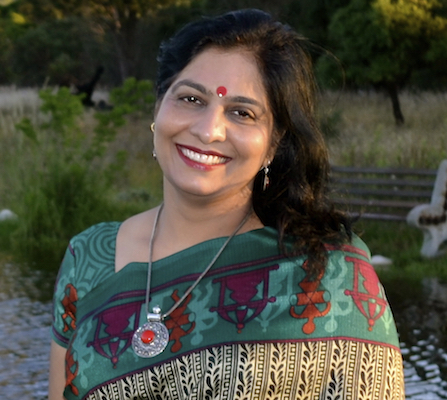 Engage with those involved in community efforts to address chronic disease, disability, and other health issues through a combination of western and traditional Ayurvedic medicine, as well as through health outreach and education efforts. Learn how this community-based organization is treating “the whole patient” through an integrated approach to medicine. Complete your orientation in Mysore, the “city of palaces” before making your way to spend time in two small, rural villages where you will shadow healthcare professionals through various rotations from the weekly “grand rounds” of inpatient care, to an Ayurveda outpatient clinic, rounds with a diabetes specialist, and learn from specialists in a children’s therapy center. You will also engage with the health outreach team to carry out rural health education. Part of your program will be spent at an Ayruveda hospital, where you will learn from experts about plant-based medicines and take part in community education camps that incorporate integrative medicine practices. Throughout, you will learn from physicians, nurses and health educators providing primarily free services to low-income families, who are skilled in implementing a culturally relevant chronic disease care model in the poorest of settings worldwide. Program participants will come away with an understanding of the impacts of non-communicable diseases (NCDs) and chronic disease on global health, an ability to articulate the approach of integrative medicine in India, and an appreciation of how the systems of practice and healing are used simultaneously and imbedded in cultural and historical practices and belief systems. Be a part of this groundbreaking work to increase access to healthcare for indigenous and local populations, while learning about socioeconomic, cultural, geographic, linguistic, health literacy and other barriers to health and healthcare in rural India. Public full-service rural hospital- Serving a population of 400,000, this rural, multispecialty hospital provides integrated and comprehensive health services with unique inclusive approach of Allopathy and Ayurveda. The full-service, 80-bed facility provides emergency, primary, and secondary level care to the community, with focus on the local indigenous population. Participants will also have the opportunity to learn from experts at the hospital’s rehabilitation and physical therapy center for children with disabilities. Ayurveda Research and Treatment Center- This rural health center offers 15 beds for inpatient care, and various outpatient services to the local indigenous population. The well-equipped Ayurveda treatment center provides natural healing through Yoga, Panchakarma and a variety of rejuvenation therapies. It aims to provide sustainable, professionally managed, comprehensive and holistic health care in an underserved area. Participants will have the opportunity to learn about plant-based medicines grown on-site. Community health education and outreach services- Join health educators in health camps covering a range of health topics affecting the local community. Participants may also have the opportunity to accompany Mobile Health Units (MHUs) which reach remote communities, providing valuable health information and care. The program center will be located in Saragur, about 60 Km from Mysore. The town is located in the Heggadadevana Kote taluk of Mysore district in South of Karnataka State. Heggadadevanakote taluk has an estimated population of 270,000. Most people in the area work as agricultural farmers. The Taluk is home to 3 reservoirs (Kabini, Nugu and Taraka) with very pleasant climate throughout the year. The temperature varies from 70-80 degrees Fahrenheit but may dip to 60 degrees Fahrenheit by December. Sargur is a quiet, rural area. CFHI participants will stay simple shared rooms at the hospital, so should come prepared to pass the evenings with other program participants and hospital staff, bring cards, books, and other small games or activities. On weekends, participants may choose to organize weekend trips to nearby destinations like Mysore. Mysore, the 3rd largest city in the state of Karnataka, is known as the city of palaces, and is also referred to as the cultural capital of the state of Karnataka. In and around Mysore, participants can visit Mysore palace, various temples, nature reserves, museums, and more. Accommodation will be provided at the hospital premises on a shared basis (2-3 students per room). Accommodations are simple and do not include facilities like air conditioning or Internet service. There will be showers for you to bathe, but the water may not always be hot. The food provided in the program is traditional Indian cuisine. This CFHI program is ideal for students and non-students of all levels and health disciplines and welcome anyone interested in and passionate about global health and medicine. In particular, this program will focus on challenges faced in providing adequate medical care in rural settings and deepening understanding of rural/urban divides. Participants should arrive in Bangalore, India on the program start date and will be picked up from the airport by a CFHI representative and driven to the guest house in Mysore. This will be a 3 to 4 hour drive. A welcome orientation will take place on Monday, after which participants will be driven to Sargur, a rual village aboute 1 hour to 1.5 hours away from Mysore. US citizens and others should apply for an Indian student visa in advance. More information and specific instructions on visa applications will be provided by CFHI after acceptance into the program. Airport pick-up upon arrival from Bangalore and transportation to accommodations in Mysore. Simple accommodation on twin/triple sharing basis in the hospital premises. Dr. Manohar Prasad P.– CFHI Mysore Medical Director: As the Senior Manager of Community Health Activities at SVYM’s Saragur resource center, Dr. Manohar oversees various community level initiatives including reproductive and child health, the mobile health unit, and community-based rehabilitation of people with disabilities, among others. He has over 3 years of experience working in the development sector holding administrative positions and the planning, implementing, monitoring and evaluating of projects, with health as the sector of focus. He is also actively involved in activities related to training: capacity building, organizing field based camps, and developing IEC materials and training modules. His background being dentistry, Dr. Manohar also oversees dental outpatient clinics and participates in school dental screening programs. He has about 5 years of experience working in the Dental College and Hospital, teaching undergraduates, conducting discussions and demonstrations. 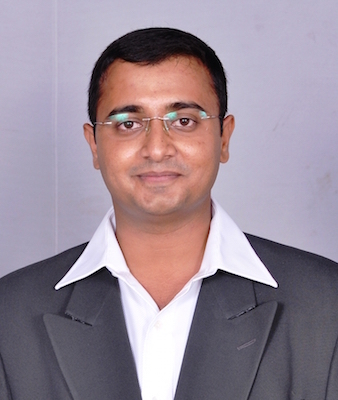 Dr. Manohar is also involved in research activities related to maternal and child health. 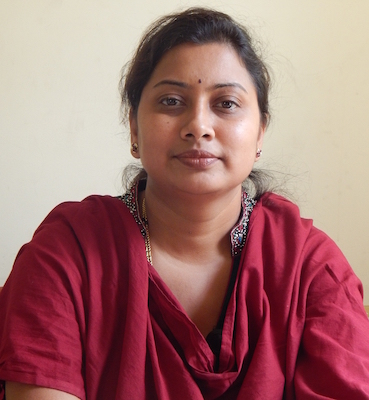 Dr. Rekha Shanmukha– CFHI Mysore Local Coordinator: Dr. Rekha Shanmukha has over 6 years of experience working with the international students at SVYM and is currently the Deputy Director of Vivekananda Institute of Indian Studies, SVYM Mysore. She has been the course coordinator for the Global Health Programs at VIIS. Previously she was the Head of Academics and Training at Vivekananda Memorial Hospital (VMH), Sargur and also coordinated Medical Student Elective Program. She has over 11 years of practitioner experience as a dental clinician. Her other interests are teaching, health training and facilitating, clinical management and administration. She has visited the US in the year 2010 on an invitation by University of Iowa.